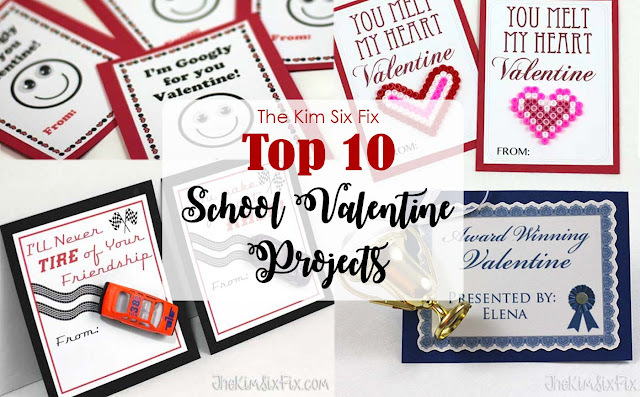 It is time to start thinking about what sort of school valentine the kids want to hand out this year. I didn’t want to spend more than $10 on them (for 30 cards) so I took the kids to the dollar store and told them to look around for something that they liked and that came with multiples in a package. My kindergartener found these imitation matchbox cars and I knew we could come up with something to do with them. A quick google search gave me some cute phrasing ideas and I created 4 versions to attach the cars to. I made sure the tire tracks were scaled pretty close to the width of the cars. A single piece of card stock didn’t feel sturdy enough to support the car’s weight so I cut an additional sheet of cardstock, just slightly larger than the print out. I glued the layers together with a glue stick and then I needed to figure out how to attach the car: Double stick foam squares! These worked perfectly! I lined up the car on the tracks and pressed it down. I’ve made the full sized (non-watermarked) available for download by email. 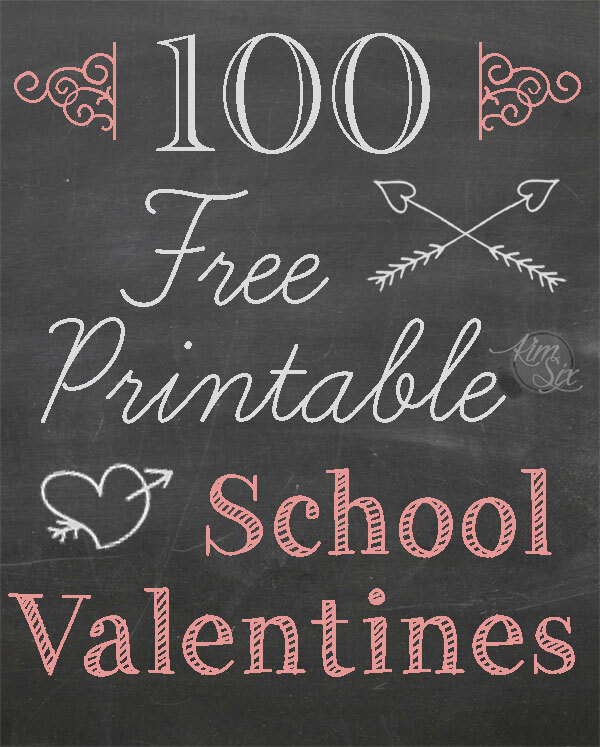 You can fit 2 valentines on one sheet, and all four are different. These are for personal use only. Please don’t reproduce or distribute them! These actually went together pretty quickly. It took me less than 15 minutes to make about 10. She can’t wait to hand them out! 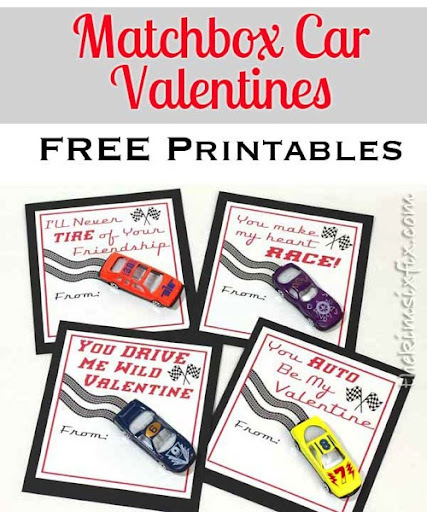 Not a Matchbox Car fan?